By registering at and using the tools at this site, you are agreeing to these terms. Please don't misuse this site. 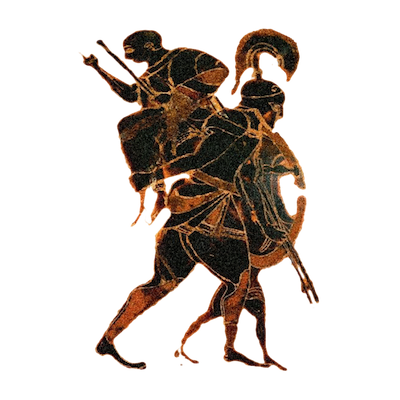 While being registered and subscribing to aeneid.co gives you the ability to read the Aeneid with some relative ease, it in no way gives you ownership of the material contained within. You may not access the information on this site in a way different from the interface provided to you. Use of this site is governed by specific laws, and use of this site depends on following these laws. In connection with your use of this site, you may be sent emails, announcements, or other information. You may opt out of some of these communications. Misusing this site may result in termination of your account and a prorated return of any applicable unused subscription funds. Oh, and use the site appropriately and safely. There are certain places for you to add your own content (e.g., notes). You retain ownership rights of any intellectual property rights to this content. This site may use information about this content (e.g., how many times a vocabulary word has been starred among all users of the site), but never the content itself. To use this site, you state that you are at or over the age of 13. While it would be awesome for someone under 13 to be reading the Aeneid, this site is not intended for users so young. The content included here, while not necessarily graphic in nature, is at a depth which expects a mature audience. This site is a work in progress, and as such, services are constantly changing and may be modified or deleted in any way. In addition, this site may cease to operate at any time. You too can stop using this site at any time.